Barcelona could reportedly cut their losses on Philippe Coutinho and sell him this summer if offers in excess of £90m are made for him. The 26-year-old was arguably one of the best creative stars in Europe during the latter stages of his spell at Liverpool, which in turn earned him the move to the Nou Camp. Given his technical quality and ability in the final third, it seemed like a perfect fit for him at Barcelona, but ultimately it has been a very different story so far this season. Coutinho has managed just nine goals and five assists in 41 appearances across all competitions, and that is arguably well below the expectations that Barca would have had ahead of the campaign. With that in mind, ESPN now report that they are open to the idea of selling him this summer, although it will take a bid of £90m or over to convince them to green light an exit. Still only 26 and evidently a very talented player, that should alert several clubs from around Europe as Coutinho could flourish in a different environment as for one reason or another, it hasn’t worked out at Barcelona this season. That’s not to say that the Catalan giants wouldn’t be wise to keep him for another year to give him another chance to shine, while it’s far from a disastrous campaign given that they are still in the hunt for the La Liga title, Copa del Rey and Champions League. 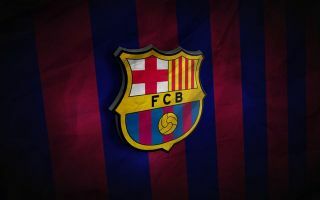 Nevertheless, Man Utd and Chelsea are specifically mentioned by ESPN as interested parties, and so it remains to be seen whether or not this latest speculation ensures that they ramp up their interest and prepare an offer for the summer. Still, as seen with Ousmane Dembele after a difficult first year at Barcelona, giving him another year to prove his worth has paid off. It would perhaps be sensible for the La Liga champions to follow that path again and not give up on Coutinho so quickly.